An amended abortion ultrasound bill passed the Virginia State Senate Tuesday, a week after Gov. Bob McDonnell withdrew his support for a more invasive ultrasound. The original bill, which would have mandated that a woman receive a transvaginal ultrasound prior to getting an abortion, attracted outrage from women and ridicule from television comedians before McDonnell requested an amended bill requiring only the more traditional transabdominal ultrasound. “Mandating an invasive procedure in order to give informed consent is not a proper role for the state,” McDonnell wrote last week. The amended bill passed 21-19 with two anti-abortion Democrats voting with Republicans, and it will go to McDonnell’s desk for his signature. "I'm a pro-life governor," McDonnell said on WTOP Tuesday. "I've been pro-life my entire life, and I think the more we do to embrace a culture of life in our society, the better off our world's going to be, and I don't think people are going to disagree with that." House Bill 462 now gives women the option of having a transvaginal ultrasound if the age of the fetus could not be determined by the transabdominal ultrasound. "I believe this is something that helps respect the dignity of women by making sure that they've had all of the information," McDonnell said. Supporters of the pre-abortion ultrasound hope it will also discourage some women from going through with the abortion. 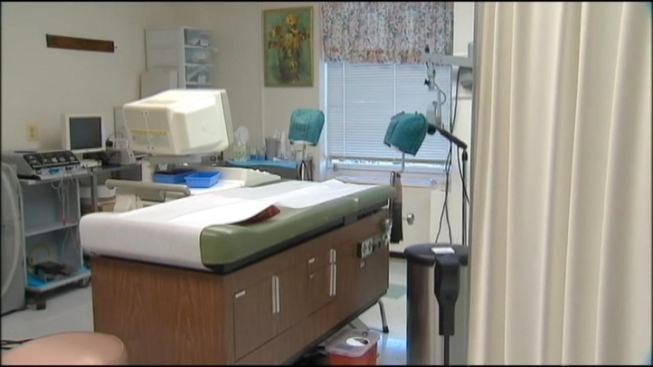 Opponents expressed concern about the cost to women whose insurance won't cover the procedure. Sen. Janet Howell (D-Fairfax) offered amendments to this amended bill including one allowing doctors to waive the ultrasound if they believed it to be unnecessary and another mandating insurance companies cover the cost of the ultrasounds. Both were voted down 21-19. “These ultrasounds can cost over $1,200, and the fact that lawmakers would consider mandating a medical procedure and then refuse mandating that the insurance company pay for it is insulting,” said Sen. Barbara Favola (D-Arlington).